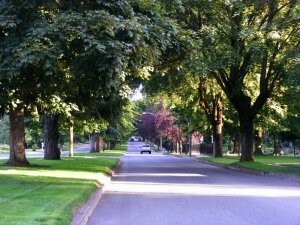 The offer comes because the city charges a fee for street trees on its building permits. If the builder plants a tree, they get their money back. If not, the Parks Department uses that money to buy a tree and plant it themselves. Right now, they've got about 60 trees worth of fees they're looking to plant in May. They prefer planting in recently constructed neighborhoods that might be lacking foliage, like the Hawk's Nest or Landings developments on near Atlas and Prairie, says Katie Kosanke from the city's urban forestry program. If you're interested, email kkosanke@cdaid.org or call (208) 769-2266.